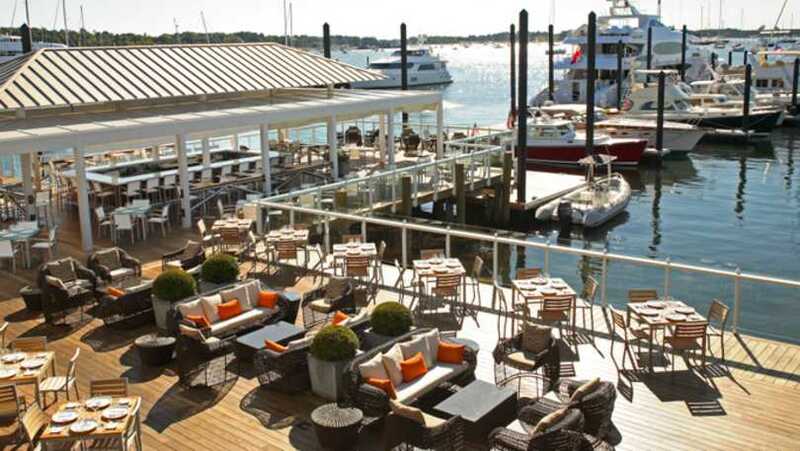 The Grill at Forty 1° North is an exclusive dockside restaurant designed to deliver a fresh, upscale dining and entertainment experience while providing a unique and serene respite from Newport's bustling waterfront scene. 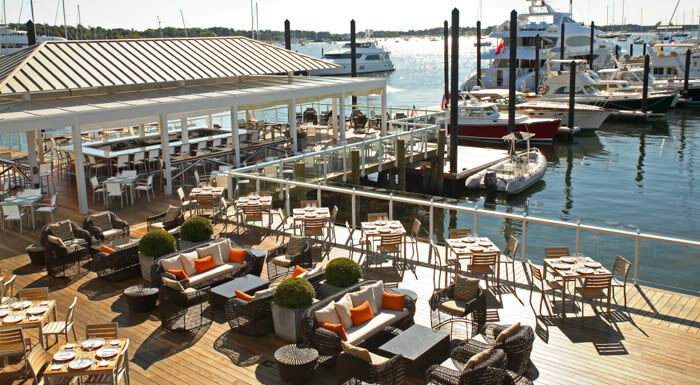 The menu features grilled meats, seafood, and raw bar, as well as organic and locally sourced selections. There is an open-air dining area, with individual tables and bar seating surrounding the covered bar pavilion. Inviting dockside lounge seating creates a perfect setting to relax with cocktails and conversation. Indoors the Dining Room, Oval Bar and Lounge offer sweeping views of the Harbor in a casual elegant setting to enjoy timeless cocktails and our full menu.